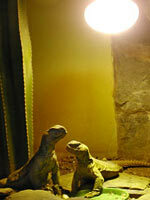 UV Lighting for Reptiles: How much UVB do reptiles need? What UV Light do Reptiles Need? How much UVB do wild reptiles get? 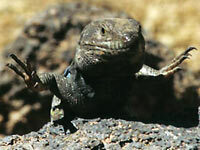 The results of our measurements of solar UVB from across the world show clearly that in the course of a single day, reptiles in the wild would be exposed to huge variations in the amount of UVB they receive, depending on the time of day and amount of cloud cover; whether the reptile is in sun or shade, and whether sunlit objects nearby are reflecting more or less UVB in the reptile's direction. This does not mean that all reptiles need exposure to UVB light, only that it is normally present in their environment. When reptiles choose to bask in full sun, they receive large amounts: even in the UK this may be 20-30 times the level they receive in the shade. Many reptiles never choose to do so, however. Some species live almost entirely in leafy shade or in burrows; nocturnal reptiles and crepuscular (dawn and dusk) species actively avoid bright daylight although some may bask in late evening sun. Even sun-worshippers retreat from the sun at certain times during the day, and many species are "shuttle heliotherms", moving in and out of sunlight many times as they thermoregulate during the course of the day. Variation in skin sensitivity to UVB light. All living things on the surface of the planet are exposed to ultraviolet light to some extent. Diffused and reflected UVB will penetrate into deep shade and even nocturnal creatures may be exposed to small amounts whilst hidden in their daytime retreats, particularly in locations where daytime UVB levels are high. We have conducted a new study on the way the skin of reptiles from different habitats varies in its transmission of UVB light, by examining the shed skin from a range of species from very different environments. We have found that in general, our findings tie in well with those described above. Lizards which are normally exposed to high levels of UV light have shed skin which lets only a small percentage through to its deeper layers; this barrier would thus presumably have a protective function. Species that would receive lower levels of UVB in their environment have shed skin which lets a higher percentage of UVB light through. However, we had the opportunity to test samples from males, females and juveniles from one species (the panther chameleon) and we found that juveniles and a gravid female had skin that was more transparent to UVB than males and an older female, which presumably have lower vitamin D3 requirements. It is thus possible that there is a dynamic balance between a reptile's need for protection from excessive UV, and for its need to allow UV to reach deeper skin layers for the purpose of D3 synthesis. How much UVB do reptiles need? There is no easy answer to this. 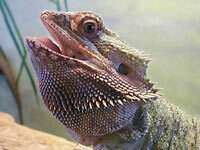 For millions of years, our reptiles have lived in a world in which UVB, UVA and visible light are all around them, and different species have evolved in every ecological niche, with behaviours (such as basking preferences) and body characteristics (such as thick or thin skin, heavy or light pigmentation) to equip them to use what UVB is available to them, in the most efficient way possible. It would seem logical that keepers cannot go far wrong if they seek to emulate the natural UVB environment inhabited by the species they keep. There is hardly any scientific data to back the recommendation of any particular level of UVB for any particular species. Most suggestions are still based on keepers' personal experiences although slowly, new data is being collected and advances in our understanding are being made. Studies on UVB light, basking preferences, and vitamin D3 production are appearing steadily, and work has been done on species as diverse as chuckwallas, iguanas and chameleons. We all know that reptiles need a "heat gradient" and part of their normal behaviour involves moving in and out of the warmth so that they maintain a healthy body temperature. Since some reptiles are also aware of ultraviolet light "gradients" and will actually move in and out of them according to their bodily vitamin D3 status and requirements, it would thus seem very appropriate to provide our animals with UV light in the same way we provide heat, ensuring they can choose how much, or how little UV they absorb by establishing a UVB gradient in our vivaria. We have observed the behaviour of some of our lizards, and their reactions to UVB light supplied in different ways. 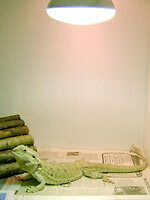 Bearded dragons (Pogona vitticeps), both adults and hatchlings, kept under fluorescent lights providing UVB chose mainly to bask directly under the basking lamp used as a heat source, rather than the UV light. 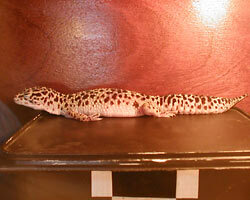 Therefore if using fluorescent tubes as a UVB source, these should be placed as close as possible to the basking zone. UVB Recommendations for different species. Some reptiles are described as "sun-worshippers" including uromastyx, bearded dragons, chuckwallas, and many species of tortoise. In the wild, these spend many hours a day exposed to hot sunshine and high UVB levels, in places such as the Mediterranean, Arizona and the Australian outback. Peak readings of 350 - 450uW/cm² are commonplace for two or three hours a day, around noon, in the summertime in these areas; however, even "sun-worshippers" avoid the midday sun. Observers usually report that most basking is done in full sun before 10.30am, when readings are considerably lower. Frequently, lizards are seen basking in full sun (or under basking lamps) with their mouths wide open. This gaping is a mechanism for heat loss; the saliva evaporating from mouth and tongue cools the body. In an arid environment, animals do not deliberately lose water un-necessarily. Other species of basking lizards lie on rocks so hot they lift their feet to avoid burning them. Why would a wild animal continue to bask in the open, risking been seen by a predator, when it is already too hot? Is it possible that the reptile is choosing to stay out for longer, in order to absorb more ultraviolet light? When kept in captivity these species need - and seek out - high levels of ultraviolet light to enable them to produce enough vitamin D3 to remain healthy. However, there are no published guidelines regarding the optimum UVB levels for these species. We can only offer observations. Chuckwallas (Sauromalus obesus) appear to thrive under strong lighting in the vivarium, choosing to bask in areas of high UVB exposure for part of the day when this is available to them. In one study 3 these were offered gradients of up to 92uW/cm² (estimated reading if measured with a Solarmeter 6.2, according to conversion factors published by Gehrmann et al 19) and they preferred the zones with highest UVB, moving in and out of these areas freely, however, just as they move in and out of hot basking spots. One of the current authors keeps bearded dragons (Pogona vitticeps) and chuckwallas (Sauromalus ater) with access to a gradient of up to 140uW/cm² under mercury vapour and metal halide lamps. These bask right under their lamps in the zone of maximum UVB, and seem to spend most of their time, when not basking, in the regions where UVB levels are between 30 and 75 uW/cm². 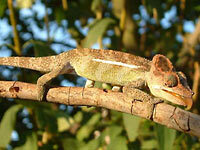 Rainforest species such as some types of chameleon naturally avoid any such high exposure. They need UVB, but at much lower levels. Their more sensitive skins manufacture all the vitamin D3 which they need from brief periods of basking early and late in the day, and the diffused and reflected ultraviolet light permeating the rainforest shade. 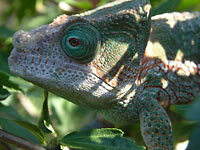 All species of chameleon have different requirements, but authors vary, too, in their recommendations. The one scientific study we are aware of addresses egg hatchability in Panther Chameleons (Furcifer pardalis) and the authors suggest that a low level of UVB (a gradient between 15-33uW/cm² as measured with a Solarmeter 6.2) supplied for 12 hours a day is optimal. High levels are seen to be harmful.14,19 Our experiences are similar to these findings; one of the current authors maintains gradients of up to 30uW/cm² in all his chameleon vivaria. One author recommends keepers of green iguanas to make levels of at least 75-150 uW/cm² available to their animals for at least 6 hours a day, and reports that iguanas, given the opportunity to do so, choose to bask at these levels. 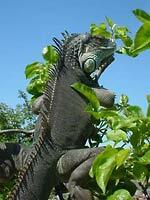 32,33 Another study indicates that an absolute minimum of 10uW/cm² is required for maintaining adequate vitamin D3 levels, but the author recommends that keepers aim for a gradient of 20 - 40 uW/cm² in the iguana's basking spot. 27 However, these levels would all be around the very minimum level a wild iguana would experience during the day, whilst in deep shade; iguanas are not shade dwellers. The recommendation first described (around 100 uW/cm² in the basking zone itself, with a gradient into shade) would seem much more appropriate. 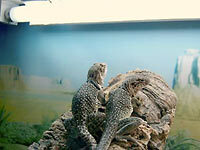 Crepuscular lizards (active at dusk and dawn) such as leopard geckos and house geckos are traditionally considered to require no ultraviolet lighting in the vivarium. In the wild, however, there is no doubt that they do receive small amounts of ultraviolet radiation from the dusk and dawn skies and possibly also a little diffused UV penetrating between rocks and bark above their daytime retreats. A recent report described a wild Texas Banded gecko (Coleonyx variegatus) thought to be basking in evening light when the ambient UVB level was at least 33uW/cm².11 Leopard geckos in captivity may be observed basking occasionally (Fig. 10) and one of the authors of UV Guide UK provides UVB fluorescent tubes as daytime background lighting for all her geckos, with observed improvements in fertility and health. Recent research has discovered that the skin of house geckos (Hemidactylus turcicus) is extra-ordinarily sensitive to UVB light; very low levels can enable large quantities of vitamin D3 to be produced in their skin.9 In captivity, this would suggest that although their diet can normally provide all the D3 they need, very brief daily exposure to low levels of UVB might be beneficial, especially if the diet was lacking in vitamin D3. If they were already receiving maximum safe levels of vitamin D3 in dietary supplements, however, there might be a risk of vitamin D overdosage from the supplements. Few snakes are thought to require ultraviolet lighting, at present, since vitamin D3 from the diet is almost certainly adequate for most species. However, some authors believe that Diamond Pythons (Morelia spilota spilota) 37, Indigo Snakes (Drymarchon corais) 39, some aquatic species 11, the insectivorous Rough and Smooth Green Snakes (Opheodrys aestivus and O. vernalis) and other arboreal, diurnal snakes 26,38 may benefit from low levels of UVB light in captivity. There is also new research showing that even crepuscular corn snakes can synthesise vitamin D3 if exposed to suitable levels of UVB, so many species probably would benefit from the ability to experience at least some gentle UVB during daylight hours. Snakes are sensitive to excessively bright artificial light, however, and this must be avoided.